Now that you have read and agreed to the terms and conditions of this post, I will be able to continue with what it is that I did not plan to do. And that is ramble on about whatever comes to my mind, kind of like a brainstorming session. So here we go! 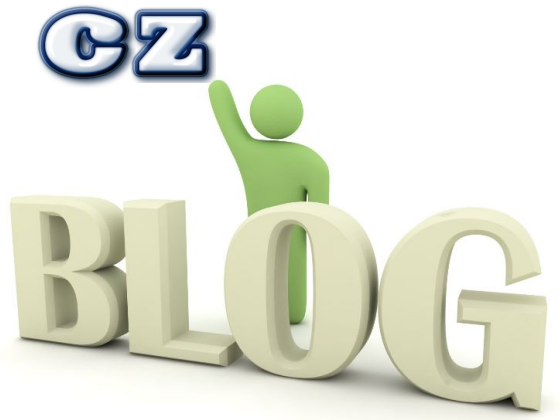 It's the Unplugged Friday Edition of CZ Tech Talk! It's bunk. Crap. All these blogs out here posting about this bogus new design that makes the screen only 1/2" taller but the same width are really disappointing me. Come on, geek writers, do you really thing they are going to change the aspect ratio of the iPhone 5? I talked to my partner, CEO Jake Seeman, of our company CoMo Coding LLC last night. We have an app development company, of which I am the Vice President handling all marketing. I asked CEO Jake if Chief Programmer Stephen Lindhauer had an opinion about these rumors, and if it was causing him any worry. He said yes. Here's the thing... people like our Chief Programmer Stephen will have a complete psychotic fit if Apple changes the aspect ratio of the next iPhone, because that means all of the current apps would have to be re-written to run on the new weirdly shaped screen. If they increase the width from 2" to 2.29", that would fit the aspect ratio of the new vertical dimension of 4". That is, IF the new display even ends up with the extra half inch on top. Wait a minute... strike those figures. The current dimension is 3.5" diagonally measured. So adding a 1/2" extra amount to the top would make a greater diagonal distance. Whatever the case, you get the point. If you make it taller, and not wider, you screw up the aspect ratio. That's why I think all you big boy blog sites are sitting with your heads jammed in a warm moist place for believing this stuff. I don't know who it is that started this rumor, but as the story is told, they claim that the people of South Korea love the iPhone and are found carrying it much more often than their native Samsung products. These people also claim that the South Koreans see the iPhone as a status symbol, and they don't give the same respect or value to their own brand. Well I am glad to report to you that this story is 100% garbage, and I know this for fact. My previously-mentioned partner, CEO Jake Seeman, was actually in South Korea for an entire 2 weeks. He said that EVERYONE in South Korea is walking around carrying phablets. They are all over the place. He told me that this idea that the countrymen (and women) are carrying iPhones is a complete fabrication. He never saw a single iPhone 3GS while there, and only 2 iPhone 4S's (one of which was his own). So I hand the Turd Trophy to all of you who seem to find it necessary to promote this craptastic rumor. The Samsung Galaxy Note 2 is coming! We have just a few days until the announcement. Soon after, we should hear about the HTC Phablet that is coming. I am gonna bet that the Samsung version will be better. I love HTC smartphones, but they are too heavy and bulky. I need light and unbreakable. That's all I have for the moment. that doesn't mean that I won't post another one of these unplugged ramblings in the next 5 minutes though. It just depends on the current state of my ADD/HD. But from now on, when you see the new "CZ Tech Talk" logo, you'll know this is an unplugged post. But before you go, we have to talk about payment. Yes, that's right, this isn't free. You agreed to the terms and conditions of this post when you started. If you made it this far, it's time to pay up. I don't allow stealing. To avoid possible prosecution and punitive damages, you must pay for reading this post by dropping a comment in the fantastic Disqus commenting section below. Tell me what you think of the rambling topics, share a new topic, or tell me what your favorite flavor of ice cream is. Whatever the case, make your payment now or you will receive a citation and fine in your email inbox for violating my terms. Three weeks, four days, 17 hours, 34 minutes, and 15 seconds... is exactly not the amount of time that has passed since my last blog post. In fact, I don't have any idea how long it has been. So while I am searching for my blog mojo, I'm gonna fill you in on the secrets of my rising and falling site traffic. When I first started blogging a few years ago, I could not decide what in the wide world to focus on and write about. I had three major topics of interest, and tried to balance them all. I sure thought it worked, but my website traffic said the complete opposite. You see, I got lucky. Right about the time that rumors were flying about the yet-to-be-named Samsung Galaxy S2 from AT&T, I happened to write a story about the "Attain". That was the rumored name at the time. As luck would have it, I was one of very few writers who wrote articles about the Attain, and I eneded up on page 1 of the Google SERPs for that search term. I continued to write about the Attain, and I sraped every single bit of information from the web on the details surrounding the specs and the release of the smartphone. My blog traffic started to spike. By July, I was well into the range of 300 visitors per day and growing. I didn't just write about the rumors surrounding the Attain, I also gave my own opinion and predictions about the release. I hit a bullseye. During the month of August, leading up to the official release of the naming for the Samsung Galaxy S2, I surpassed 1,000 visitors per day and peaked at 1,350 in one day. This was something that went far and beyond my wildest dreams. But after the release of the flagship smartphone, while the dust started to settle, so did my site traffic. But I still had a base level of 300 to 500 visitors per day thanks to a handful of informative posts I wrote on various technical topics. I continued to cover smartphone and gadget news, and caught the eyes of several corporations. I have been given devices from some companies to write about, and I also was blessed to have been contacted by AT&T of St. Louis to review smartphones and tablets. This kept my traffic at a respectable level. But lo and behold, I had an event that all but killed my website traffic. I had to switch blog site hosting providers from Quansite (of California) to Squarespace. After making the switch, I discovered that my blog site was so big, it was impossible to import all of my old posts. That meant I was left to start from square one with Squarespace. My traffic took a nose dive as my most popular posts now pulled up "404" errors. But I love the new format of Squarespace and I am not regretting making the switch. 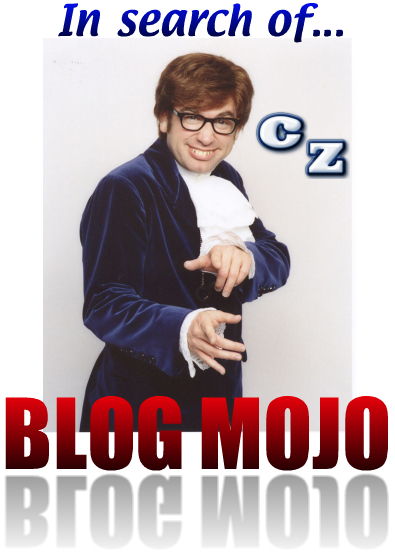 Right now I am suffering from a case of lost "blog mojo", and I am having the hardest time finding my "voice". When I first started blogging, my style was professional and "newsy" sounding. Over time, I started to write with more humor and sarcasm, which is a natural fit for me. But I still have not found my perfect "voice". Once I do, I think I will successfully rebuild my blog site to its former glory. But in the meantime, I am going to commit to writing about anything on my mind that is related to the tech sector. I might even throw in a few articles that deal with technology and marketing. So while I continue the search for my mojo, please, I beg you, if you are reading this, encourage me in the comments section and let me know if you like my new "natural" style and tell me what you'd like me to write about. I hope you enjoyed this shocking confession. And I look forward to your comments! Reinventing The Carlton Zone Blog? Ladies and gents, I've been contemplating making some big changes on the blog site, both in content and where it is being hosted. It's gonna be a rocky road for the next couple of weeks, but I think I will prevail. Look out for a new homepage coming your way, and a "new look" blog site. The company I am currently hosting my website with is not able to deliver some of the things that I would like to do with my blog, namely Amazon product integration. Something that people don't consider much is the cost of running a blog site. You have to pay for a domain, someone to host your site, and also someone to host the actual blog "engine" if you don't want to do it all on your own. We won't even consider the cost in hours of research and writing to keep the site going. I started partnering with Amazon.com last year around this time, and I have really delved deep into promoting different products and services in various ways in order to produce a revenue stream that would cover the costs associated with keeping the blog site running. I've had some great months, and I've had some seriously slow months where I have only made pocket change. But I have to focus on the most efficient ways of monetizing my site in order to justify the time in keeping it fresh and building my page rank. This post is being written using my potential new host and provider, SquareSpace.com. They offer a lot of service for the money, and at about a third of the cost of what I am paying with my current blog engine provider. Plus, they have a lot more creative ways that I can integrate Amazon products into the site. I'm very proud to promote Amazon on my site, because it allows me to pass on great deals to my friends and family members. When they save money, they are happy, and I've gotten a lot of positive feedback for passing on good deals from Amazon, so I'm going to go forward with using them as my main monetization partner. Right now, I am hitting a brick wall on how to convert everything from my current host to my new provider. It's looking like I will not be able to automatically export my blog's content and place it on the new server site. Therefore, it presents an awesome opportunity to just clean up my site and start from scratch. I haven't been tremendously focused on one particular topic, and I still haven't decided what that overall focus should be. I'm an avid writer, keynote speaker, seminar trainer, business marketing consultant, business owner, and complete gadget geek. Somehow, I need to whittle this down to a more focused list for the site. One thing that I have been given a lot of feedback from is the fact that most people have no clue regarding all of the details and specifications on smartphones, tablets, computers, laptops, and other gadgets. They come to me for the most basic of information and advice, and would like me to focus on writing blog posts to the "everyday person" that is not so technically inclined. Honestly, there are plenty of specification-quoting techno-babbling writers out there. But there aren't many who can boil it down to something that the average person can understand. And what most people want is just enough information that they can make an informed buying decision. No more, no less. In the coming days, I'll be thinking about where I will take the blog site, and what my focus will be. Hopefully it won't be as disorganized and running all over creation like this blog post has been. Got a suggestion for me? Let me know! Do you think I should focus on writing about gadgets? Making money? Marketing for a current business? Or how about audio podcasts? Perhaps more video content? You make the call... I'm all ears.